Before getting started, you should download the scheduler package and extract the codebase folder within the working directory. It can be a regular folder if you want to test this scheduler using inline data or a local web server folder in case you want to try using a database. 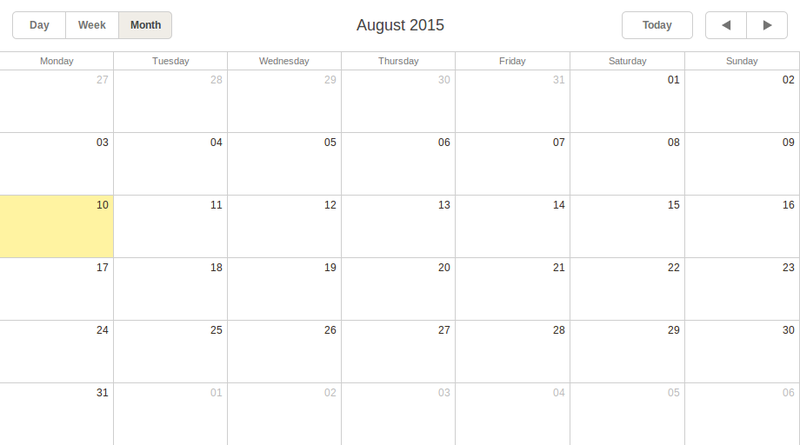 Before we initialize the calendar, it’s better to prepare some data to visualize. The easiest of possible ways is to create an array and use it as a data source. One more possibility is to create a database along with a server-side script that will handle database connection. 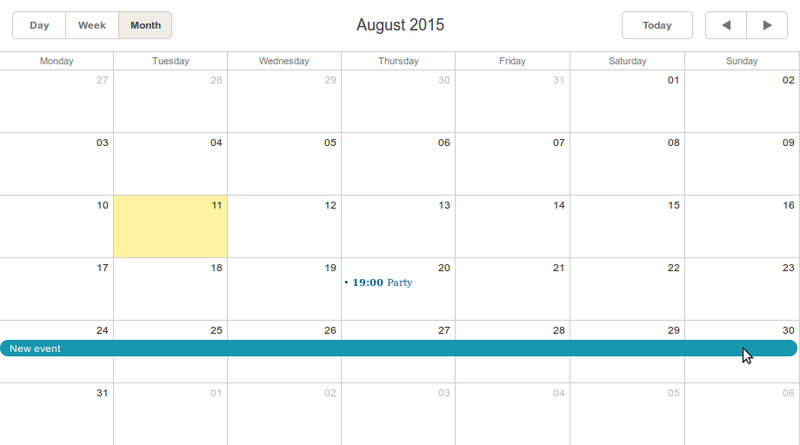 This approach will allow you to save existing events between sessions. That’s all you need to do. We’ll soon render this data on the screen, but now let’s create our testing database. Now we need to create a server-side script that will initialize the connection to our database. Let’s call this file data.php and place it within our working directory. 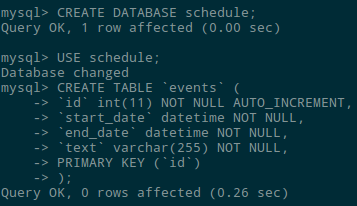 Notice that `mysql_connect()` takes a username and a password as its second and third parameters. So, don’t forget to change these values to actual ones. This code uses dhtmlxConnector that enables access to external data sources. Then it connects to MySQL and selects our previously created database. And, finally, it sets the columns we’ve created as data to render. So, we’ve finished configuring a database, which means we can initialize a scheduler. It may seem a little bit messy. So many DIV’s! Guess, it’s just something you should overcome. In this code, the init() constructor initializes a scheduler within the scheduler_here DIV container, sets the current date as the initial one and then uses Month as the default view. There are also Day and Week views available. It allows you to choose one of the available views. 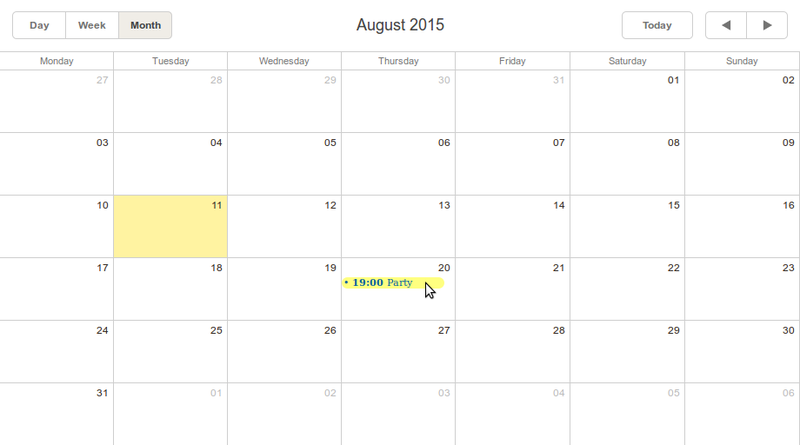 As you can see, Month is set by default. Just as planned. Today’s date is highlighted. Moreover, there is the Today button and buttons that allow you to move forward and backward. Let’s now check how data handling works. This method takes two parameters: the data source (the events array in our case) and the format of data. Here are our events. 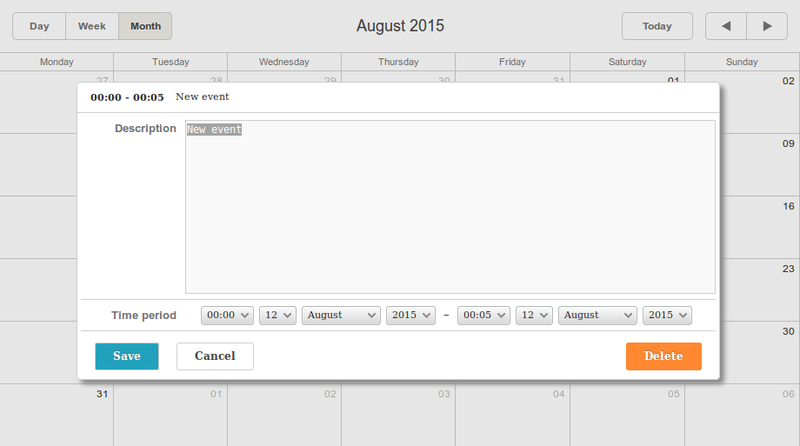 You can already test your scheduler, add new events, etc. But, as I’ve said before, if you use inline data only, there’s no possibility to save your data. New events you’ve created will disappear after you refresh the page. But have no fear. We’ve got our database. Let’s use it now. To avoid the data vanishing issue, we can use the database. We use the load() method for the loading purpose. It takes the path to the server-side script as a parameter. After that, we should use dataProcessor to save data. To do so, initialize it and attach to the scheduler. Done. Now your data will be safe. 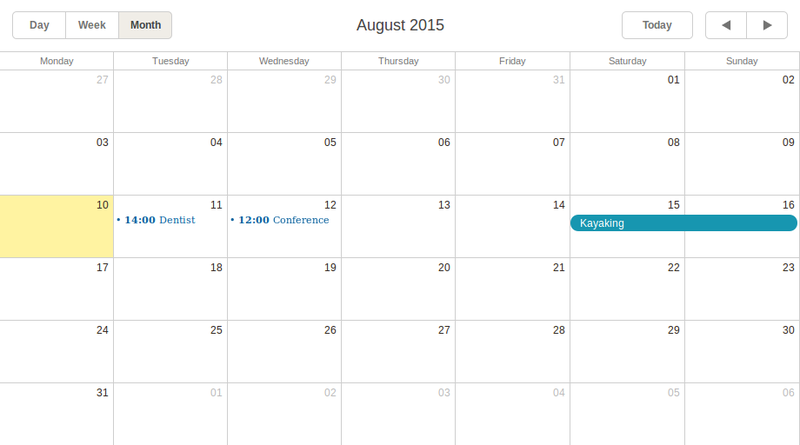 Since our database is empty, there will be no events in the scheduler when you refresh your web page. Looks like an excellent opportunity to check how events can be created. 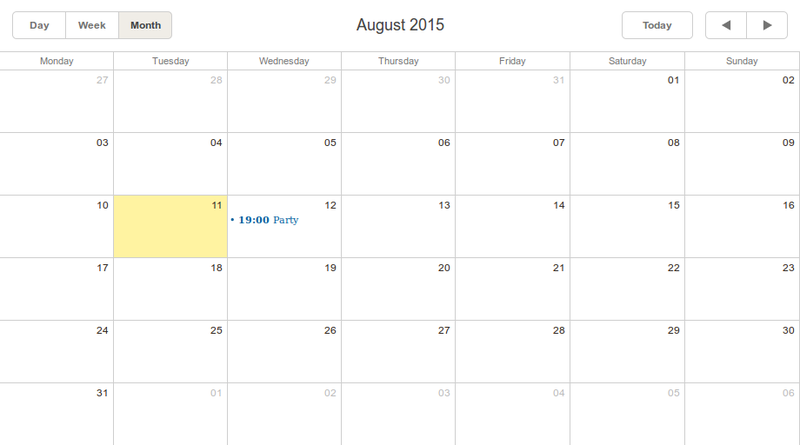 Then you’ll see the familiar New Event window. Seems that it’s all that we can get from the basic scheduler. But don’t worry. There’s a possibility to extend the existing functionality. This guides page contains a bunch of guides that can help you customize your application. There are styling guides, extensions guides, data export guides, etc. Let’s try to implement a couple of possibilities. Let’s start with a simple one. Besides the default one, there are three other skins available: Glossy, Classic, and Flat. All you need to do to set another skin is to change the included CSS file. You’ll change the skin from Default to Flat. Another useful feature is export. There is a possibility to export your scheduler to different file formats such as PNG, PDF, Excel, etc. Let’s concentrate on PDF since this option provides you with different handy properties. You can place it right under your scheduler for testing purposes. But don’t forget to change the default `height` value of the scheduler that is 100% initially. When you click it, the exportTo() function will be called. We’ll use the scheduler.exportToPDF() method within it. And this is where you can define the properties of the output file. That’s all you need to convert your data to PDF. 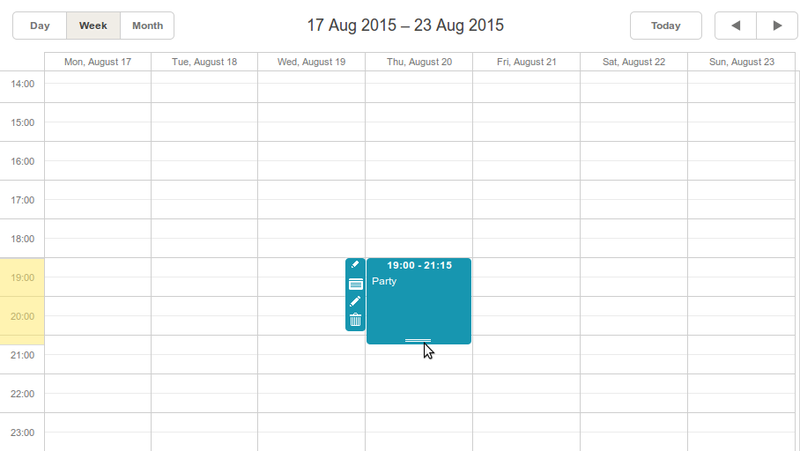 It was my choice of scheduler library, it’s free (though has paid version as well), simple and have modern look and feel. It wasn’t my intention to make you start using it, I just want to share my positive experience. 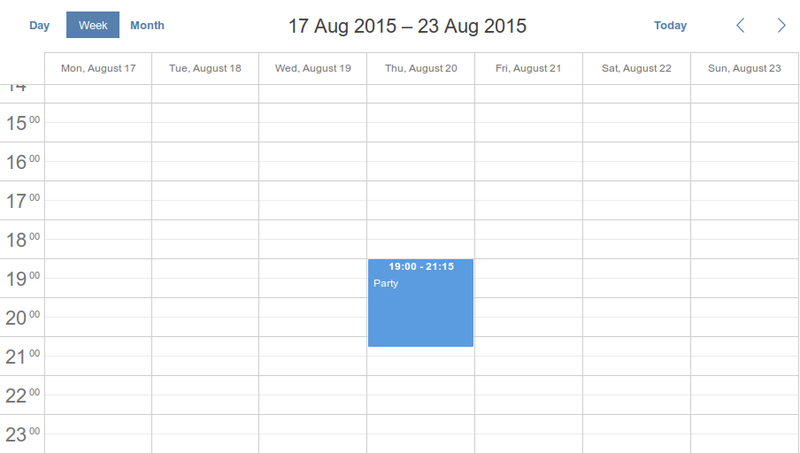 dhtmlxScheduler allowed me to build an online time management application in a few easy steps.